He was a fighter who strongly defended his convictions and devoted his impressive energies to multiple — not all of them very noble — causes. His arrogance, narcissism, and megalomania, as well as his intolerance and contempt for his critics were notorious, as was his passion for life. Some obituaries depict him as “a man of boundless, Balzac-like appetites” (New York Times), and “Gargantuan” (Libération). “I am neither indifferent to, nor weary of, this world; had I a hundred lives, I know I would not tire of it,” he wrote in The Patagonian Hare (2009), his autobiography. He “made a novel out of his life,” the obituarist of Le Monde pertinently writes, and there is no doubt that he lived intensely. Beyond his conspicuous propensity for self-celebration and the exhibition of his remarkable adventures as a fighter, journalist, traveler, filmmaker, lover, sportsman, and adviser of prominent people, his memoirs make for a fascinating book. One may legitimately think that he exaggerates his role in the French Resistance under Vichy and German occupation, but it is a fact that he entered the antifascist struggle at seventeen and joined the Communist Party as a young man. In 1952 he met Jean-Paul Sartre, who asked him to write for Les Temps Modernes, a journal which he would edit after the death of Simone de Beauvoir. A convinced anticolonialist, he supported the FLN during the Algerian War and in 1960 signed the famous “Manifesto of the 121” that endorsed the independence struggle, denounced the torture systematically practiced by the French army, and called for conscripts to mutiny. One year later, he organized a meeting in Rome between Sartre and Frantz Fanon, already affected by leukemia and close to death, which resulted in an impassioned preface by the French philosopher to The Wretched of the Earth. A courageous fighter could not but be an irresistible lover, and his memoirs tell of his adventures and relations with many women, from Simone de Beauvoir, with whom he spent several years of marital life, to a beautiful North Korean nurse whose breast had been burned by napalm during the war, whom he met and loved ephemerally (and illegally) during a short trip in 1958, and to whom he devoted his second-to-last movie, Napalm (2017). Politics, journalism, and love were inseparable to him. His early anticolonialism was paradoxically combined with ardent Zionism, adopted in 1952 at the moment of his first discovery of Israel, and passionately asserted down to his last years, which saw him shamefully deny the oppression of the Palestinians in the occupied territories. Like his earlier antifascism and communism, his Zionism was not only rooted in his Eastern-Jewish origins, like so many survivors of the Holocaust who found a refuge in Palestine and built Israel. Nor was it an ideological choice: he graduated in philosophy, but he was never very interested in theoretical controversies. As with his antifascism and anticolonialism, his Zionism was existential, almost physical; it was grounded in deep empathy with a community of settlers and soldiers who had fled persecution and were ready to build a new life after the Holocaust. 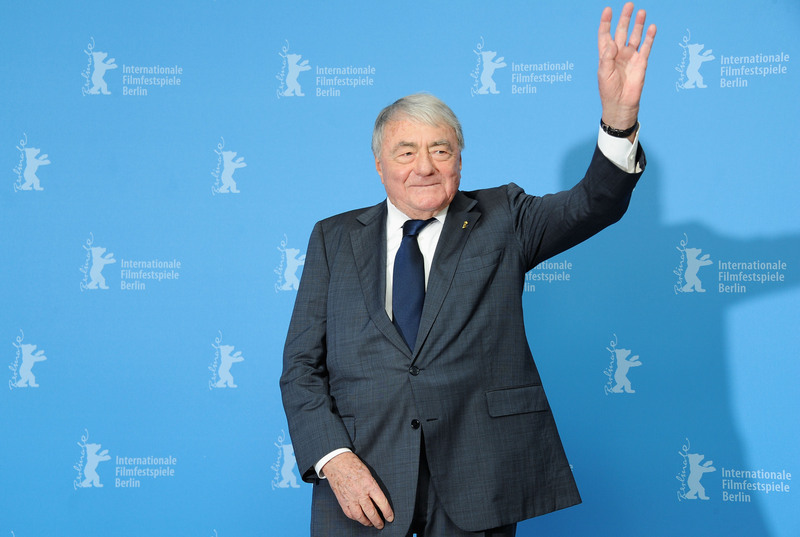 These biographical features are relevant insofar as Claude Lanzmann was the author of Shoah (1985), a nine-and-a-half-hour-long movie that changed our vision of the extermination of the Jews during the Second World War. The global impact of this masterpiece was enormous, for both its aesthetic conception and its new approach to the past. Even its title — Hebrew for “catastrophe,” a word completely unknown outside of Israel at that time — designated a strange object, very different from any previous movie on the Holocaust. It does not include any archival documents, any footage of the epoch, almost no voice-over explaining the context or the events, or any conventional stylistic procedures; it is a succession of testimonies by the actors in the Jewish genocide, mostly — but not exclusively — victims; mostly — but not exclusively — interviewed in the places where the events they describe happened. The effect is powerful: the historical wound of mass extermination ceases to appear as an abstract, ungraspable category and becomes a concrete trauma lived by real people in their bodies and their souls. The usual concepts forged by scholarship to define this event — fascism, totalitarianism, genocide, barbarism, destruction of reason, dialectics of Enlightenment, etc. — suddenly appear meaningless before overwhelming human suffering. This is the undeniable strength of Shoah, which truly rescues ordinary people from anonymity and puts them at the core of a cataclysm that changed our vision of history and, perhaps, of humanity itself. Far from the coherence and rationality of historical reconstructions, this movie reveals the past as a gigantic anthropological experience made up of a constellation of irreducible singular lives. It would not be wrong to see this movie as the apogee of the “lachrymose” representation of Jewish history which the French scholar Esther Benbassa carefully investigated in Suffering as Identity (2010). But this concerns mostly the movie’s reception rather than the conception of the film itself. Retrospectively, it is not difficult to locate Shoah in its own zeitgeist: a transitional moment in Western culture shaped by the emergence of memory as a privileged approach to the past. It almost synchronically corresponds with the publication of the first volume of Realms of Memory (1984), the French historiographical monument edited by Pierre Nora, and of Zakhor: Jewish History and Jewish Memory (1982), by Yosef Hayim Yerushalmi, a masterpiece of Jewish studies, without forgetting Primo Levi’s The Drowned and the Saved (1986). Across the Rhine, Shoah was released in the incandescent atmosphere of the Historikerstreit, the violent polemic between Jürgen Habermas and Ernst Nolte on the meaning of the Holocaust for German historical consciousness. From different perspectives, these works rehabilitated the subjective dimension of the past, which they tried to explore and describe; a subjective dimension which the cold, objectivizing methodologies of both functionalist and structuralist historical discourse had removed. This new approach was acclaimed as a healthy turn with cathartic effects, but it did not escape the coercive frames of the broader, neoconservative turn of the 1980s. Immediately canonized, Shoah became the unavoidable landmark of a new age of post-totalitarian wisdom made up of liberal democracy, market society, and human rights rhetoric. Of course, this was not Lanzmann’s original purpose and he probably never imagined this epilogue during the decade in which his movie was in the making. But he gladly accepted to play this role. In many European countries, Shoah was adopted by educational programs and included in the curriculum of secondary schools, while public discourse celebrated it as an object of worship. The former Resistance fighter and the anticolonialist promoter of the “Manifest of the 121” became a sought-after star of official commemorations, buried under an avalanche of awards and recognitions. The contemptuous detractor of “academic frivolities and vulgarities (canailleries)” was no doubt amused by the honoris causa degrees he received from so many prestigious universities, but his titanic ego was at least partially fulfilled. The reasons for Shoah’s consensual canonization probably lie in its own limitations, which are notable. While rejecting all conventional aesthetic codes and historical interpretations, this masterpiece opened fruitful new paths and, at the same time, impoverished, not to say inhibited, any attempt at critically understanding the past. In fact, the historical hermeneutic it implicitly suggests is extremely Manichean. All witnesses interviewed in this more than nine-hour-long movie belong to clearly circumscribed, fixed groups: all Germans are Nazis, all Jews are victims, and all bystanders, mostly Polish, are accomplices of the crime. There is a single exception: Jan Karski, the representative of the Polish government in exile who secretly visited the Warsaw ghetto in 1942 — brought in by the Bund, a Jewish socialist movement — and smuggled out a message about the starving conditions of the Jews. Lanzmann’s later movies extracted from the rushes of Shoah (350 hours) do not modify this very simplistic perspective: they celebrate the Jewish Resistance — Sobibor, October 14, 1943, 4 pm (2001) — and rehabilitate the leaders of the Jewish Councils — The Last of the Unjust (2013), devoted to Benjamin Murmelstein, the Austrian rabbi who became the elder of the Judenrat at Theresienstadt — without nuancing this monochrome landscape. “All victims are alike, all executioners are alike,” he writes in The Patagonian Hare, and the viewer of Shoah may conclude that there is no space outside of this dichotomous representation of the past. Lanzmann liked black-and-white pictures. In contrast to Primo Levi, he was never haunted by the dilemmas of the “grey zone,” that area of numbness in which the boundaries between persecutors and victims seemed blurred and thrown into question. This is why he did not include in his movie the testimonies of Marek Edelman, the Bundist leader of the Warsaw Ghetto Uprising who decided to remain in Poland after the war, or of Wladyslaw Bartoszewski, a member of Zegota, the underground network created by the Polish Resistance to provide arms and support the insurrection of the Warsaw ghetto. Their accounts did not fit the angular cuts of Lanzmann’s narrative. Jan Karski’s exception proved that the Poles had been on the wrong side and Shoah simply subsumes the entire history of Poland — a nation which National Socialism had decided to destroy as a whole — under the category of antisemitism. In Lanzmann’s eyes, Poles had to be condemned en bloc, as a nation, without clemency, in the same way in which Israel was, by definition, innocent, and all its critics, in consequence, antisemites. This is also the reason why he decided to exclude French witnesses from his movie. In the 1980s, after the publication of works by Robert O. Paxton and Zeev Sternhell, which emphasized the fascist features of the Vichy regime and reintegrated it into French history — no longer reducing it to a short parenthesis produced by the defeat and German occupation — the dichotomous schemes of Shoah risked appearing quite disappointing in light of the complexity of a newly achieved historical consciousness: what about collaboration and resistance? What about the mass of civil servants shifting from the former to the latter between 1940 and 1944? What about the distinction between French Israélites and foreign Jews? Shoah carefully avoids these kinds of uncomfortable questions. Its substance is made of an extremely rich and diverse humanity framed into monolithic, not to say ontological, blocs. Thus, the movie powerfully contributed to creating a picture of the twentieth century as the age of violence and genocide. It opened a window allowing us, for a while, to penetrate the emotional world of the victims and to touch a fragment of their torn lives; it did not help us to elaborate a critical understanding of the past. In fact, understanding never was Lanzmann’s purpose. He provocatively laid claim to an epistemological stance whose precise definition had been provided by an SS guard: “Here, there is no why” (Hier ist kein Warum). He had found this definition in If This Is a Man (1947), Primo Levi’s account of his deportation to Auschwitz. But whereas the Italian writer related it as symbolic evidence of the absurdity of the Nazi camps, in which any human order was turned upside down, Lanzmann adopted it as the only valuable intellectual paradigm in the face of National Socialism. This is remarkable, but even the subtlest exegetical justifications of this SS formula — “there is no why” — cannot erase its distinctive mark: obscurantism. Despite its gravity and sobriety — naked testimonies, without any embellishment — Shoah launched a decade-long flood of rhetoric, quickly resolving into kitsch, which depicted the Holocaust as an event neither representable, nor transmissible, nor comprehensible. In other words, a mystical experience and an object of worship, not of historical interpretation. Thus, Lanzmann’s anthropological approach, based on the victims’ recollections, paradoxically aligned with Elie Wiesel’s famous hyperbole, which posited the metaphysical, nonhistorical character of the Holocaust. According to Lanzmann, the Holocaust could not be interpreted or understood; it was a trauma that could only be felt and transmitted through the testimony of the victims. But memory is not an immediately available object, ready to be extracted from the witnesses by putting a microphone to their mouth. Memory must be created by reliving a suffered trauma. The deepest meaning of the past cannot be found in history writing; it cannot be captured by a critical discourse based on the reconstitution, comparison, contextualization, and interpretation of events. It lies in the emotions of those who suffered an incommensurable trauma, a trauma that needs to be relived in order to be expressed and transmitted. This approach undoubtedly possesses an aesthetic dimension — for instance, the melody which Szymon Srebrnik sang once again when he returned to Chelmno, in the opening scenes of Shoah — and sometimes requires a specific device, like renting a barber shop where Abraham Bomba, cutting the hair of hired actors, tells his story while repeating the same gestures he enacted in Treblinka with the Jews before they entered the gas chambers. “Abraham’s tears,” Lanzmann writes in his memoirs, “were as precious to me as blood, the seal of truth, their very incarnation.” For Lanzmann, transmission transcends witnessing and cannot be compared with the account given by a storyteller; it means a performative testimony and implies a kind of reincarnation. According to Soshana Felman, the scholar who codified Lanzmann’s conception (with his approval), this narrative cannot be replaced by any historical account; it is a “unique enactment by the living witness” which, taking place in a primal scene (whether real or reconstructed), “is itself part of a process of realization of historic truth.” As Dominick LaCapra pertinently observed, this is what psychoanalysis calls “acting out,” a procedure that absolutizes and sacralizes trauma by foreclosing any possibility of working through its legacy. In this case, “reincarnation” does not answer any “why;” it simply tells “how” by substituting for historical knowledge and critical understanding. It denies any legitimacy to the efforts of many Holocaust scholars — first of all Saul Friedländer — to inscribe the voice of witnesses into a global historical account, both respecting their singularity and recognizing the constitutively limited, non-exhaustive, and unfinished character of any historical interpretation. But Lanzmann went further. He stressed “the inaugural and founding character” of Shoah, a movie that possessed “the status of an original event.” As a “reincarnation” of the Holocaust, Shoah had become in his view the equivalent of the historical experience it describes. And insofar as the entire movie is built as a succession of dialogues with Lanzmann himself — the filmmaker as narrator, interviewer, and inquirer, according to Felman’s admiring definition of his triple role — he turns into a redeemer, a central figure of this reincarnated history. This is probably the reason why he candidly declared that, if he had found a Nazi documentary film showing the extermination of the Jews, he would have destroyed it. One would have to return to the age of Stalin’s USSR or Mussolini’s Italy to find a similar kind of state idolatry. In the 1960s, fascinated by Fanon, Lanzmann prized the liberating and humanizing effect of a reappropriation of violence by the oppressed of the colonial world; thirty years later, he mistook the Tsahal tanks in the West Bank for a successful uprising of the Warsaw ghetto. We understand why, faced with such abuses of memory, many observers, from Tom Segev to David Rieff, have recently rediscovered the virtues of forgetting.